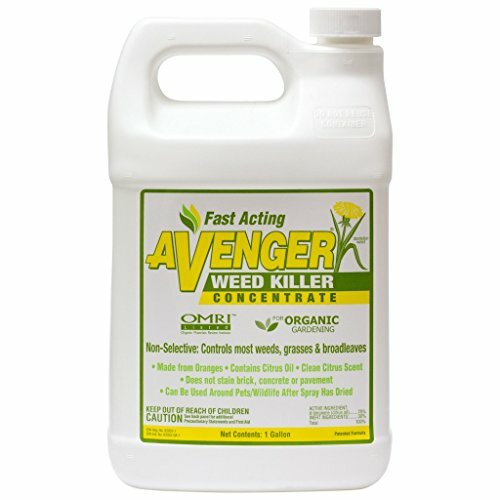 Avenger weed killer concentrate is a great solution for those looking for environmentally safe herbicides. It is a non-selective and post emergence herbicide that is made from oranges and lemons to kill grasses, weeds, and broadleaves. D-limonene (citrus oil), which is the active ingredient in avenger, naturally takes away the waxy plant cuticle so the plant ends up being dehydrated and then dies. This product is more effective than other leading synthetic herbicides and faster acting. Visible results are seen in as little as 2 hours. It is non toxic and is able to be used around pets, wildlife and people. This is a great product for those looking for an organic solution. If you have any questions about this product by Nature's Avenger, contact us by completing and submitting the form below. If you are looking for a specif part number, please include it with your message.